The Olympic Channel just launched on the Roku streaming platform, bringing fans closer to the Olympic movement all year around! On the channel you can find a 24/7 live stream and more than 400 episodes from the Olympic Channel library of original content featuring more than 50 series developed with best-in-class production companies from more than 25 countries. The Olympic Channel offers unparalleled access to Olympic sports and athletes all year round. Through comprehensive coverage, original programming, never-before-seen footage and exclusive interviews, the Olympic Channel takes viewers up close and behind the scenes with their favourite sports and athletes 24 hours a day, 7 days a week, 365 days a year. Five Rings Films: The Olympic Channel’s signature sports documentary series is produced by Hollywood legend Frank Marshall and Mandalay Sports Media. Directed by some of the biggest names in film from around the world, the feature-length films include The Nagano Tapes, the inspiring underdog story of the Czech Republic’s stunning gold medal win in men’s ice hockey in 1998; The People’s Fighter’s examines Cuba’s boxing culture highlighting the career of the legendary Teofilo Stevenson; and The Golden Generation which spotlights the Argentine Men’s National Team’s historic gold at the Athens 2004 Olympic Basketball Tournament. Original Series: From the legacy of Olympic heroes and how they inspire new generations in the second season of Legends Live On, to the docu-reality series that follows Olympic legends as they try to turnaround a struggling youth sports teams in just one week in The Z Team, the Olympic Channel provides an entertaining, inspiring and action-packed look at the everyday lives of athletes. 24/7 Live Streaming Channel: Those seeking a traditional TV experience can watch the 24/7 Olympic Channel TV live stream at any time. The round-the-clock streaming channel features original programming, Olympic Games event replays and other Olympic-related content. The Olympic Channel is available for free and can be found in the Sports category in the Roku Channel Store. 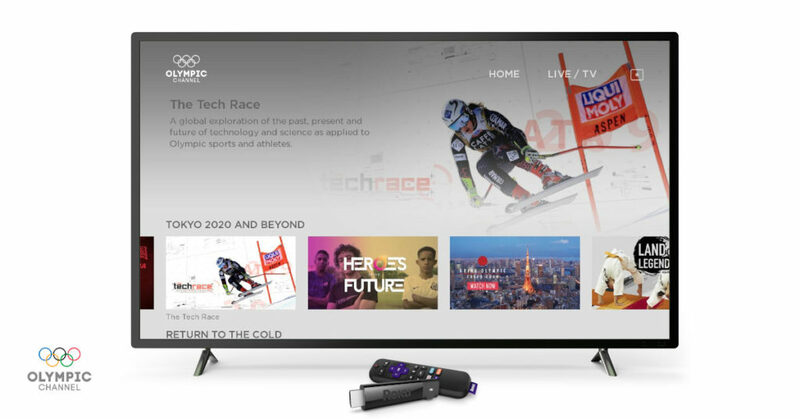 The post Now available on your Roku streaming device: Olympic Channel appeared first on The Official Roku Blog.